Thanks Chris, next year was my turn, and you’ve gone and ruined it. How is the Senate going to find a new president-elect with this kind of scandal out there? The university, devastated by years of corrupt puppet governments and a series of coups d’etat orchestrated by athletic department extremists, faces a long, uncertain period of rebuilding, as collateral damage from infighting for the vacant presidency increases. 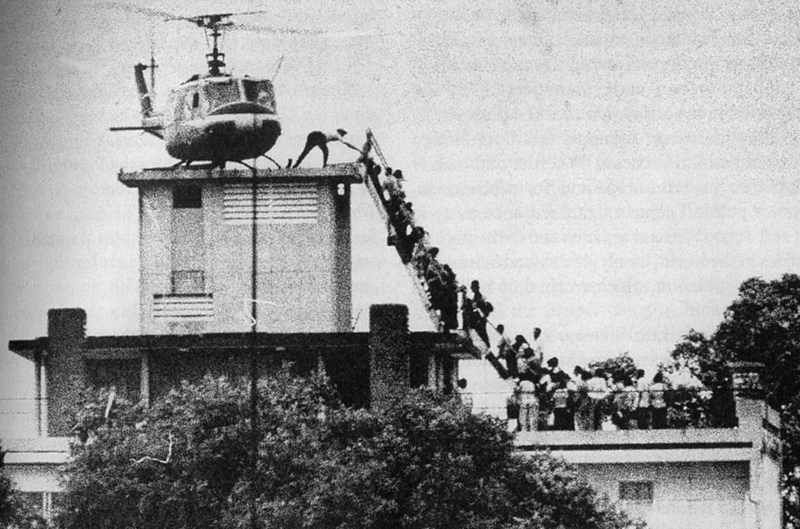 The careers of several administrators were last seen clinging to the Huey’s skids. Update: Word tonight from the ODE that opposition forces managed to infiltrate the Johnson Hall perimeter and approach the presidential bunker, in a desperate attempt to get help for their 8AM Monday poli-sci final. 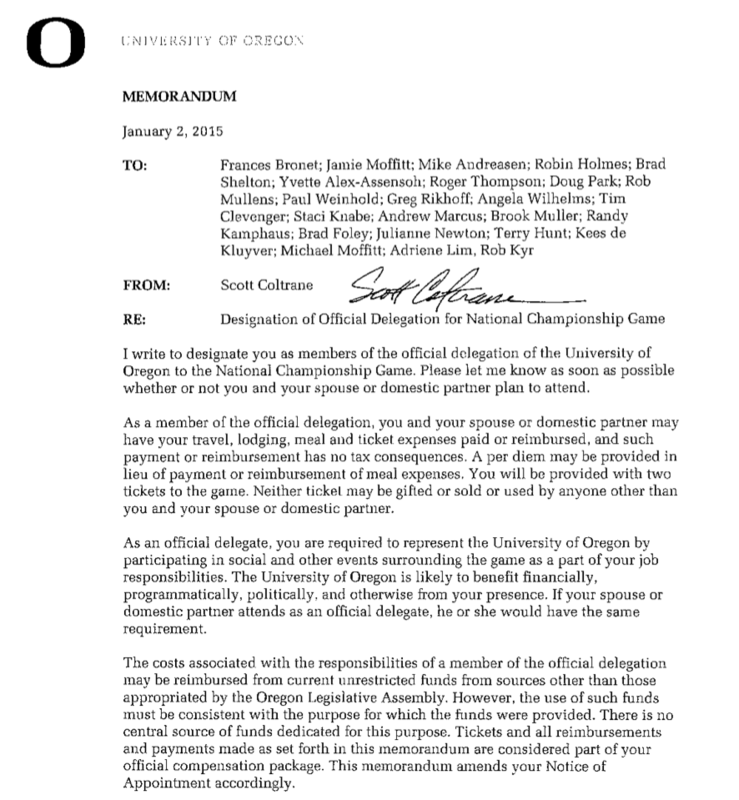 11/25/2014: Free bowl game junkets for UO admins and families. Think of it as a parental leave policy on steroids. This year should be particularly fun for them, and costly for us. The Ducks are a lock for the PAC-12 championship to be played Dec 5th in San Francisco. Then, if all goes well, there will be a College Football Championships playoff game at some sunny location, to be followed on Jan 12th by the championship game in Texas. Many JH nomenklatura have contracts guaranteeing free junkets to these games not only for themselves, but also their families. 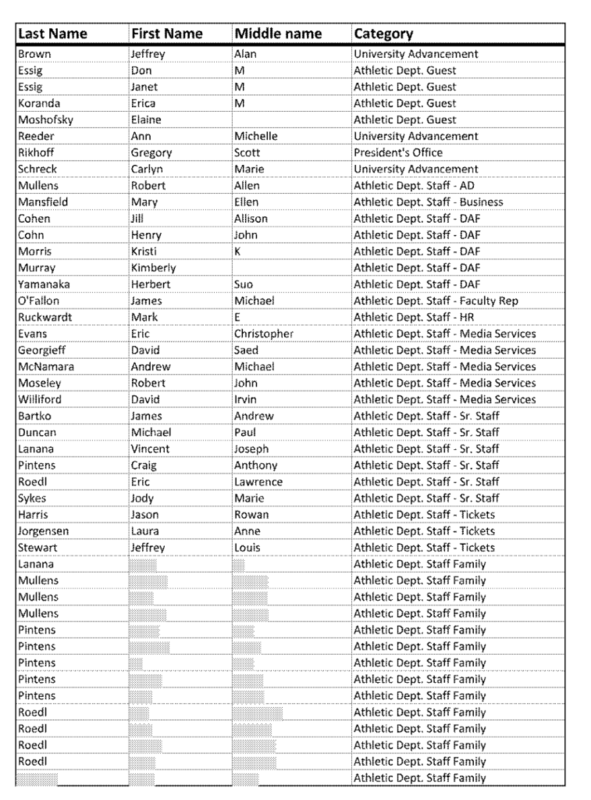 Of course these junkets are a conflict of interest for people like Park, who help the athletic department hide public records, or VPFA Jamie Moffitt, who controls the athletic department’s budget and subsidies. But for some people a COI isn’t a moral dilemma, it’s a family vacation opportunity. 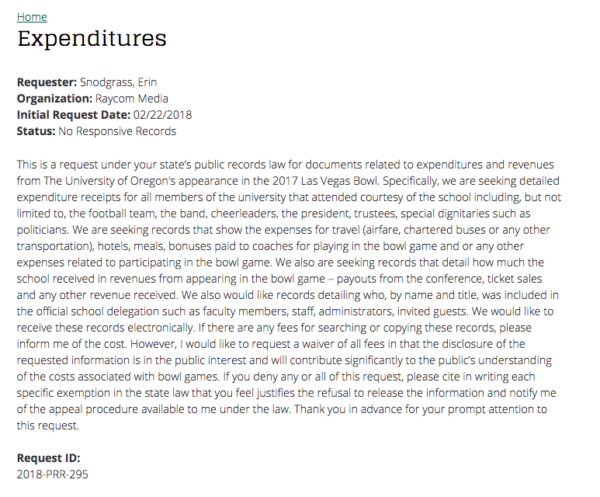 The University does not possess records responsive to your request for ” a copy of UO’s policies and/or procedures on paying for travel and tickets to away games and/or postseason games”, made 1/28/2013. Thank you for contacting the office with your request. Given the problematic nature of these junkets Dave Hubin’s public records office typically does its best to hide the cost and the names of the people taking them. But here is some info Daily Emerald reporters and I have been able to get over the years. More on this here. And more here, from the 2012 Rose Bowl. Tagged GTFs, junkets, Kimberly Espy. Bookmark the permalink. Hey look, a Bowl of Ducks list! 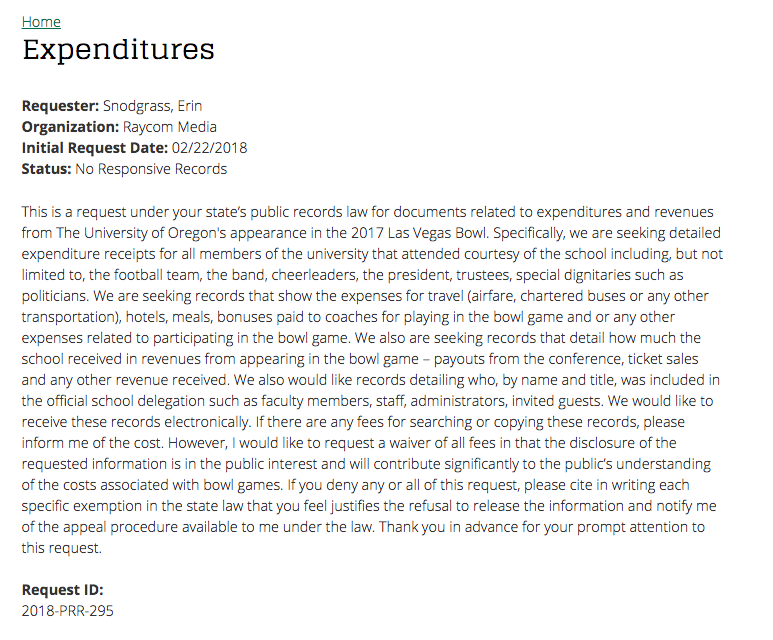 The rumor is that we’re paying for their plane tickets so they can “work” at a football game, so their flight information is subject to an information request. Expect GTFs and the media available to greet you at the airport, admins! Fantastic. I so want to still be grading on the 19th. I hear there might be picketing at the airport. That would be great. Coltrane’s email on bargaining makes it sound like his zoning lawyer is doing this out of the goodness of his heart because he believes in the cause of the UO Admin- not because he’s paid $300 an hour to do it. Of course the UO bargaining team looks forward to another mediation session at those rates. ………while I head off to watch the game. This is it? I can’t even figure out what I’m looking at. There are 102 spots on the Dec 30 manifest, but only 23 names–the rest are blacked or whited out. Not a single non-AD name from the “official delegation” appears anywhere except on the two memos. What’s going on here? 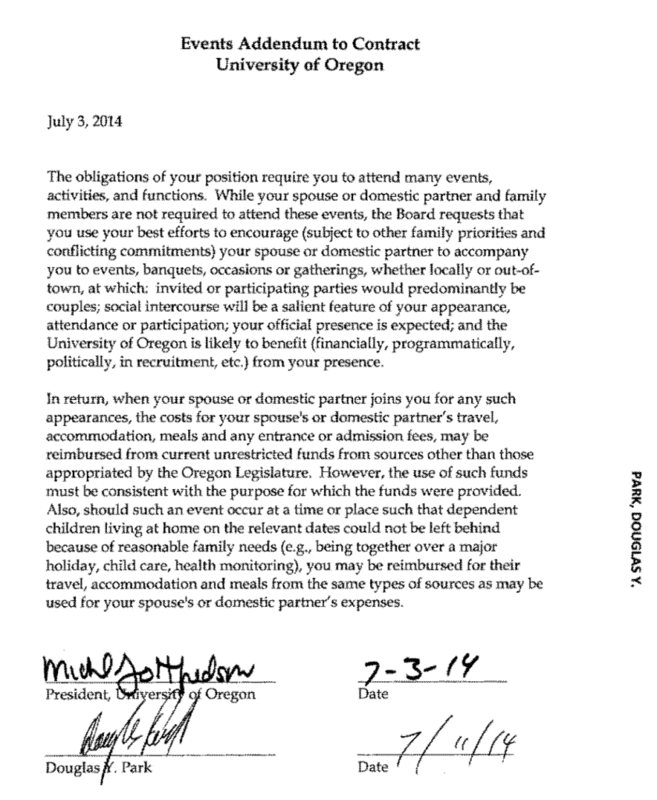 Is this yet another ersatz public records “disclosure” where the UO PRO pretends to give you what you asked for just so they can say they already have? How does having Doug Park attend a football game or any university event benefit the school in any way? It clearly doesn’t help law school enrollment at the school. Johnson Hall is like being stuck in High School forever. The junket list is all about who’s in and who’s out. Gottfredson cut Randy Geller from the list, then he fired him. So Doug Park insisted on getting junkets written into his contract. Speaking of which, there’s still no word on how Coltrane’s search for a new GC is going. Someone impeach me. Anyone. Please. You’re coming to the Committee on Committees meeting, right?